OUR OTHER TWO CURRENTLY FEATURED BOOKS, “CROSSING THE BLUE LINE,” BY WILLIAM MARK AND “THE GINSENG GANG,” BY BILL TUCKER, CAN BE FOUND BY SCROLLING DOWN BELOW THIS POST. SUMMARY: Sean Conroy started his career in the lab, but had a burning desire to enter the clinical side of medicine as a physician assistant. After completing the first two years of book work, he spent a year learning from doctors, physician assistants, nurse practitioners, and others on the front lines of medicine in hospitals and clinics across the state of Nebraska. He entered his first family practice rotation as a well-spoken but inexperienced PA student, and in under a year was bedside with severely ill and injured patients in one of Nebraska’s busiest level-one trauma centers. This memoir follows Conroy around the state, from one rotation to another, as he grows in knowledge and maturity. It tells the tales (some humorous, some harrowing, and occasionally heartbreaking) of patient encounters in wide variety of settings with individuals from all walks of life. From the delivery of a newborn, to the terminally ill at the end of their lives, and many in between, Through the Eyes of a Young Physician Assistant will leave you laughing and crying and with a deeper appreciation of PAs. THE BACK STORY: “This book was born out of my care of one particular patient during my Internal Medicine rotation in Grand Island, Nebraska: a gentleman facing his mortality. I had taken many small steps from lowly physician assistant student toward full-grown physician assistant. This patient was my first large step. In training in medicine there are many moments that affect you. These are the moments when, if you turn and look back on your education, you realize that you will never be the same again. Something inside me changed after my time with this gentleman. He was not my first patient to die, but he was the first “young” person that I lost. Sure, he had a granddaughter, but he was young to be a grandfather, and he was too young to die. “It was after caring for him that a spark inside me grew into a burning desire to share his story and the stories of others, not only because his story moved me so much, but because I felt his story would move others if I found a way to share it. WHY SOMEONE WOULD WANT TO READ IT: I wrote it so that laypeople can follow along, for them it is not only a glimpse behind the scenes of medicine, but interesting in regards to the stories which would be touching no matter which side of the white coat you were on. The book has touching, emotional glimpses into peoples’ lives, including my own, though also has some humor. It takes a sense of humor (possibly a dark one) to survive in the world of medicine. On the other hand the book is not so simple that health care students and professionals themselves will not enjoy the stories as well, as they can certainly relate. 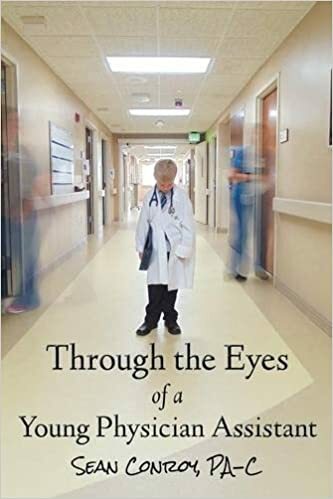 “Conroy’s journey through his clinical training as a young physician assistant student in Nebraska is brought to life in this engaging narrative about life, death, and all the spaces in between. As his story unfolded, my memories of training as a PA were stirred but I was opened up to so much more. After staring at death, the author soon finds himself in an obstetrical practice. This experience was not his finest, but the joy of bringing a child into the world is palpable. “In all these moments, Conroy opens his heart to us, and you cannot help but root for him. In Grand Island, Nebraska, the author begins his internal medicine rotation. His patient Robert, a sickly veteran, is ready to die; his daughter wants him to live. Conroy brings the tension and uncertainty of that experience to life in his book. Conroy struggles to find how to place himself between Robert and his daughter. As a reader, you can feel the young student’s ambiguity, but his courage starts to mount. This is the essence of the book and the lesson for all of us. Life and death are irrevocably linked. AUTHOR PROFILE: Sean Conroy was born and raised in McCook, Nebraska. He matriculated first from Chadron State College in Chadron, Nebraska with a bachelor’s in biology (human biology option), then the University of Nebraska Medical Center in Omaha, Nebraska with a bachelor’s in clinical laboratory science. He concluded his studies with a master’s in physician assistant studies from Union College in Lincoln, Nebraska. 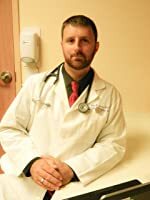 He has practiced medicine in Kansas in primary care, including family practice and emergency medicine, since 2010 and a physician assistant at Manhattan Urgent Care in Manhattan, Kansas. AUTHOR COMMENTS: “This book has opened doors for me I would have never imagined. The greatest of which is Clinician1, a PA website, which offered me a freelance author contract. I am still a PA, but my “hobby” has become very rewarding.